Let me begin the story ‘at the end’ so you see the result. In case you want to see ‘how it all begun’ then you may move to VULCANICUS where JadeYu Fhang became a contributor in 2013. This introduction brings us to some core aspects on the 2nd opening as well on the concept of an 3D art conservation. The idea to keep be roots of Digial 3D art alive over time is outlined in VULCANICUS, so let´s skip this aspect here. I spoke about ‘the core’. The core of the artwork. Of Roots and War by JadeYu Fhang. The core of Roots, the core of War. The core of JadeYu Fhang. The core of all her installations. She came as an refuge from Algeria in the 60th to France. There is no need to continue for the one ‘seeing art’. So I decided to make a simple plate that I have stolen from my primary source ‘Science in Fiction’. In other words: I combine Art, Technology and Future. The impacts I see. There is another posting [ ‘Got Ruth‘ ] in about the technology flaws in using ‘a current simulator’. The question ‘do we all live in a simulator’ is allways present for me. Digital Art in 3D and ‘user created content’ is still at the beginning. ‘Virtualization is not only a trend‘ I named one of my art talks at IPAC. A ‘second world’ comes in many faces: 2 globes in Roots and War, 2 heads in the ‘mother´s body’ in Roots and War, 2 sources [in IT manufacturing and in military]. ‘2’ means a second way, a backup, a second life – ‘A Second Life for Art‘ is the title the curator Dr. Raphael Vella set in 2009 in his introduction on my art project ‘I in 3D’ at the University of Malta. Nevertheless the same technology of opensimulator we use is now a target in military. There is even a project, called MOSES, within the U.S. Army Research Laboratory’s SFC Paul Ray Smith, Simulation and Training Technology Center (STTC), located in Orlando. You find this all ‘worked in’ in the short play ‘TRATEOTU – When Phantom gets REAL‘. I re-created the billionaire SR Hadden for this purpose. Hopefully there will be a time when such a SR Hadden is stepping in to support the Roots of Digital Art. But now let´s have a look at the installation Roots and War by pictures taken by screen artist WizardOz Chrome. I suggest you look at Wizardoz in facebook as she expands her archive daily. She is a true fellower in Digtial Art conservation by stills and also some videos she makes out of them. The singularity was witnessed by: Art Eames, Artefice Maximus, Aurora Mycano, Bryn Oh, ChapTer Kronfeld, 過剰, Gem Preiz, Kai, Met Knelstrom, Navah Alphaville, Obscurusart, Quan Lavender, Sina Souza, Seo, Tattoo Lane, Venus Rosen, Walt Ireton, Wizardoz Chrome. And here comes the link to the script of the play http://is.gd/rifthorizon_tcof and to the website of Gem Preiz in VULCANICUS. Wizardoz Chrome made a nice movie out of a slide show. The next and final step was done as an extention of VULCANICUS. The installation, called ‘The Cathedral Dreamer‘ is now a permanent part of RIFT HORIZON. … but before I talk you do death. You might be here as you already passed all the tests and now you want to have party there? SR Hadden: wow. This is Roots and War! … The famous installation of JadeYu Fhang of 2013? The first domes ever brought into the open worlds? I want to rent it for our Firestorm meeting. 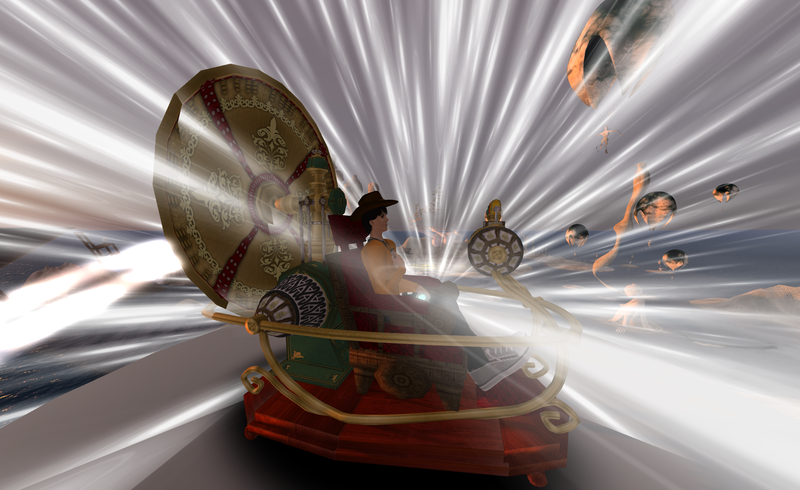 The new robust viewer for Opensim – made for fighters. Art or military – where is the difference? Don’t we live all in a simulator? Do we not all fight hard? *laughs* Roots and War! Fits to the bones Art, doesn’t it? Art Blue [playing Zaphod Beeblebrox as a skeleton]: to the bones? MY bones need flesh! SR Hadden: Let´s make a deal. You have second head, so you understand that I need a second source for my meetings – unnoticed from spies on earth. SR Hadden: Yes! And I will sponsor a restaurant at this place at the end of this universe, indeed it´s a different one! No LIMIT it shall be called! I have brought my engineers with me. They are already moving up by The Lifter. Here is you cheque. Here are some pictures of ‘The Lifter‘ as it was used in ‘the real play’. 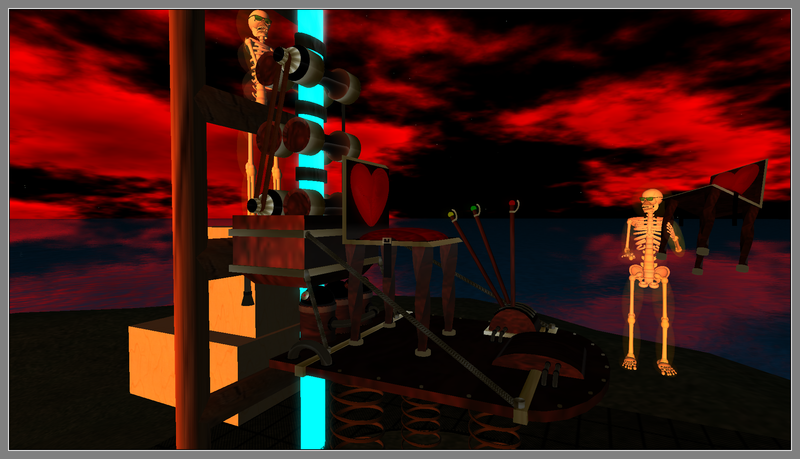 The Lifter was made for opensim by Exy, a well known steampunk artist. You find the Lifter at the bottom, the entrance to ‘Roots and War’. So dont TP into the restaurant. Take the ride up! Be fearless. For long there was no posting at RIFT HORIZON. There are so many places to post, to keep track. RIFT HORIZON is a metaphor so just search for news via Google and you get them. You may find Molly Bloom – yes the famous one! Just now as you read these lines she might have entered RIFT HORIZON. See Art Blue as a ghost visiting her gallery and read the iReport at CNN: “The Queen is NOT amused”. I am a conceptual digital artist. I make concepts for creating art and for installments to display. I don’t make pieces of art by myself any longer. Sometimes I give lectures and show the last piece I made as a metaphor: The Blue Elephant. See me therefore as a curator with a mission to display things my way. In 2016 Santorini Bienniale will open the doors to Immersive Interactive Art. This fits to present my time capsule of prim based art containing some stunning pieces created in Second Life over the last 10 years made by more than 40 artists. 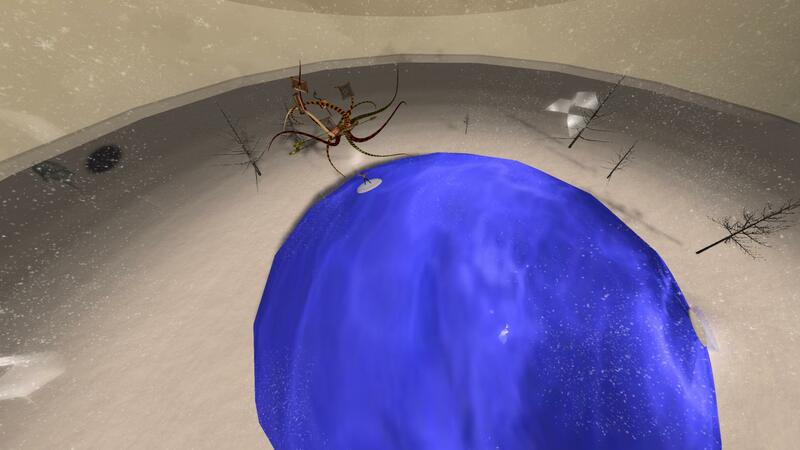 I call the collection VULCANICUS as there is in the center of the sim a huge volcano where the donated pieces are presented in a SL compatible open environment. 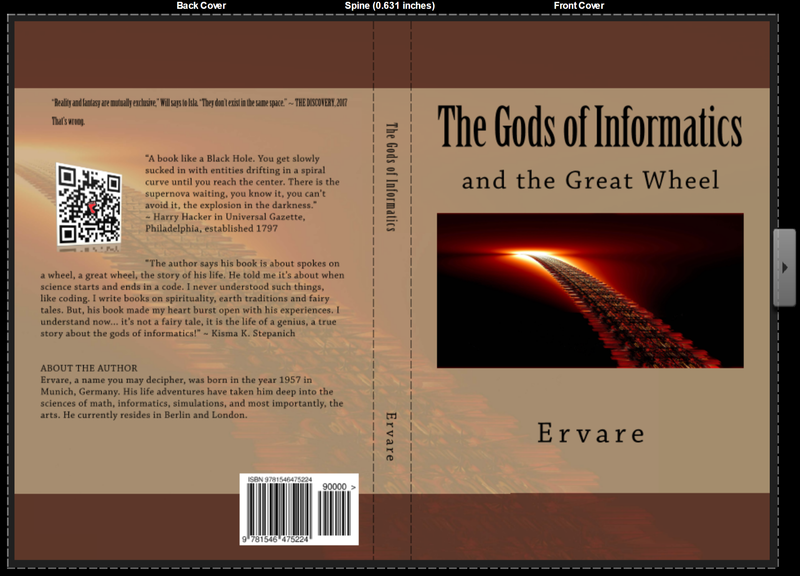 Open environment means the servers will run for more than 100 years by a non-profit foundation. In case you have contributed to Vulcanicus you got all answers on questions you had. 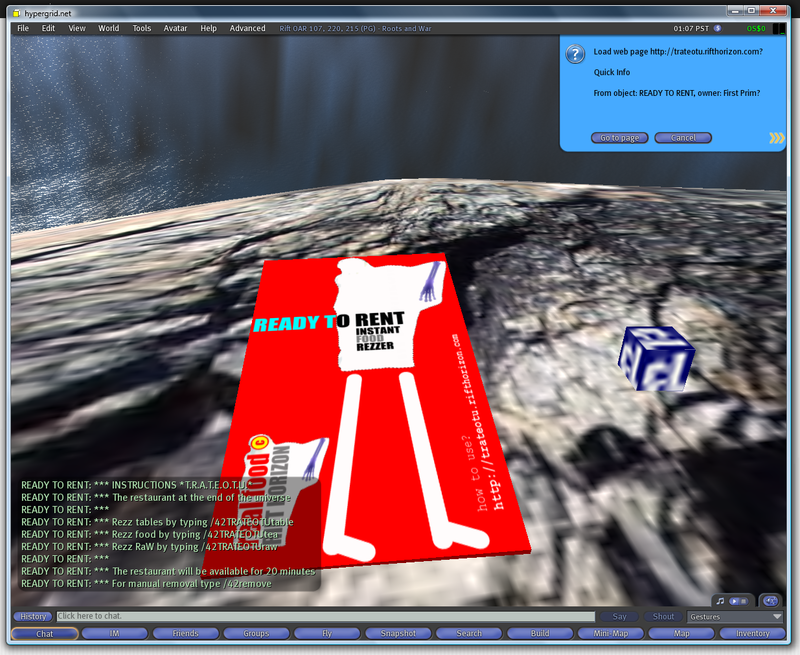 Then your art is in SL and outside SL “in my hands” to take care of it by showing and by publishing it. 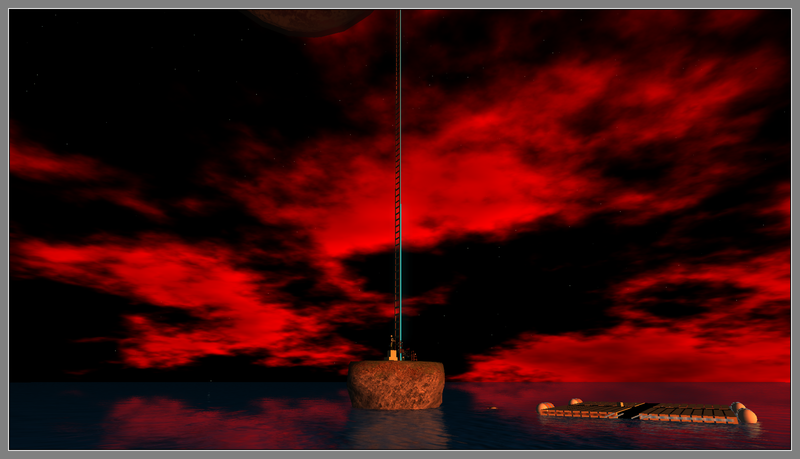 When Second Life ends the way we know it now the art will be kept safe for future generations in Vulcanicus to visit. So let me come to the point: want to be part of the dream carrying your work to the future? Then contact me and show me what you offer to be shown. You have to upload it a second time in opensim for the time capsule. This is a procedure taking not long. Best to take Firestorm viewer dual world (opensim) edtion. I tell you how to do. 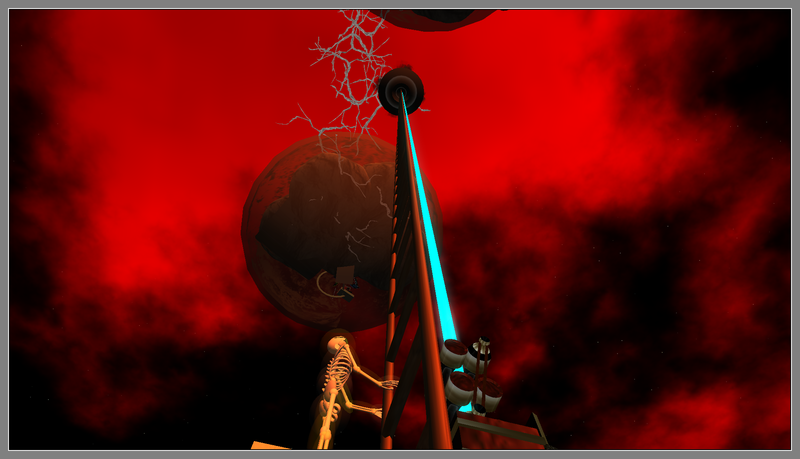 You may ask if the art you donate may get stolen in opensim? I dont think so. Vulcanicus is a closed server structure. But best protection is from my personal point of view to show, to document and to print your art work. This I do via an art-trust I am in charge of. About a short play “Walking on the Moon” performed today for Jami Mills and Friday Blaisdale to thank them for one year editing my stories published in rez Magazine. And a video that takes you on the moon. Let´s bring the video first! The first woman on the moon made it in the year 1964. Yes correct: 2014 – 50 years is 1964. Why was it so? And is there proof? And who was it? The answer shall be given step by step. In a stunning video production you get it all. It happened in the Metaverse. Yes the Metaverse George Bloom, executive producer at CBS Digital, speaks in his TED talk. He says “we will meet all there in some years time”. But what happened before it comes to such production? [12:3 4] Message shouts: You shall hear a spherical music from Ultraviolet Alter and some synthetic voices and sound mixed in. Turn on the stream in your viewer that is set active on the ground. [12:36] Director: Cannoneers, welcome the audience! [12:37] Jami Mills: are the engines still being readied? [12:38] Jami Mills: hydrogen cells fully fueled? [12:38] Jami Mills: i’m getting hungry! [12:38] Director: Well done cannoneers! I heard the cannon fire three times! -: It became tradition at the Grand Theatre to skip the personal welcome babble. We would sit here for hours if I would greet all of high rank and of noble born caste in person who decided to join this play and stay invisible. -: If this journey is successful it shall be noticed by the scribes of Astropoeticon that two writers have passed the barrier of space and time and stayed alive. So I call the scribes holding the book of hours in hand and the prelude may fill the air. -: I call Art Blue to use the time machine made by Aley Resident. Let us travel 50 years back into the past. -: The time machine made it up to the podium and you Art are granted to enter the secret phrase of the Bene Gesserit whenever the machine is warmed up. Let’s turn our volume up to be sure to hear the old voices speaking. -: Tell me Art when the change of time is completed. And remember today you have to handle the technical part of Qnav What, the helicopter will be your job and the light signal! -: In the meantime I will call the mechanical robot made by Thirza Ember and Snow and give order to rez the Gravition boots for the pioneers. Let me test if the robot is working by a language check. [12:43] Jami Mills: I see the robot! [12:44] Art Blue: The display in the time machine says time as changed and the land around has moved from flat to an insane island. Maybe it is just on my channel and for all others around nothing has happened? [12:46] Director: Land ahead is gone to insane? No moon around? [12:49] Art Blue: Yes, Insanity the name. A raw file in old format. Day is October, 28 – not as needed November 15. 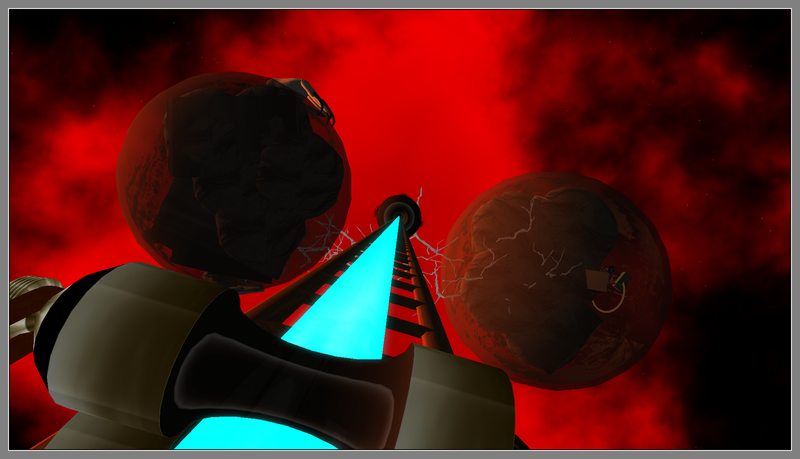 It is an old version of the insane world, not the one that was printed in rez Magazine. [12:49] Director: Can you move slightly the time control forward? Use the lamp to see the correct date as I know your eyes are not the best! [12:49] Art Blue: I try! [12:50] Director: I see INSANITY. Oh holy prim the challenge has begun. The ladies shall get ready. The moon might appear every minute. The famous words of Cherry Manga “all starts with insane” came true! [12:51] Director: Pilots? Ready for the test? I call Jami Mills and Friday Blaisdale to get ready. [12:51] Jami Mills: I’ll have to do this in heels! [12:51] Art Blue: I tp to the physical examination platform where I will wait for them. Let´s see if both are fitting. I will carry the Graviton moon boots with me. There are strong winds coming up. [12:51] Director: Don’t forget to check their heart beats and blood pressure. [12:52] Art Blue: The helicopter is ready. I check the instruments and do a test flight. Then the ladies may show their talents and follow the flight path I show them. Only the toughest ones will make the flight on heavy g-pressure expected. [12:53] Director: And so it came that Art Blue inspected the women and decided that Jami Mills will become the first woman stepping on the moon, rewriting history as you all know. -: I play the historic words of Jami, the first woman on the moon. Listen to her words and how the second one, Friday interfered. I set it on repeat so you all get a chance to capture the words that have been spoken 50 years ago. [12:57] Sponsor Note: ON THE MOON OF INSANITY was sponsored by Harry´s Bar where the invisible artist Banksy will give audience. See the advertisement in rez Magazine, the gladiator Carpophorus holds in hand. Take a copy with you. [12:58] Jami Mills: clap clap clap clap clap!!!!!! [12:58] Jami Mills: author! author! Curious? Want to know more about the scenery? How this all looks? How to make to create your own world? Participate as an artist in a real world Bienniale? 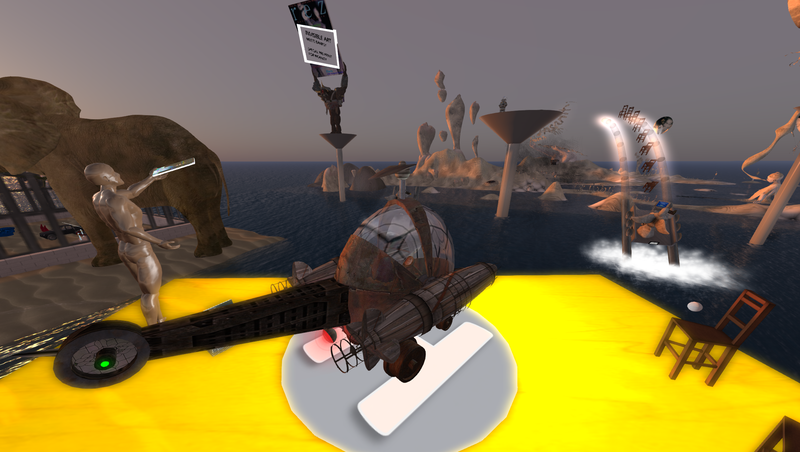 Then join next Hypergrid Safari to tune into the Metaverse for your personal first steps on the moon! It was an experience of a lifetime for Jami Mills and Friday Blaisdale happened on November 15, 2 PM PDT. Follow them to the Moon. Your Moonboots are ready.